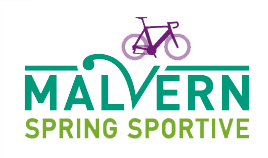 Velo Events, the team behind the Santini Cotswold Spring and Autumn Classics and the UK edition of the Grand Fondo Eddy Merckx, are excited to announce a new event on the UK calendar – the Malvern Spring Sportive. Taking place for the first time on 12th May, this new event promises something a little different. The start and finish of the sportive will be in the middle of the Three Counties Showground, during its annual Spring Gardening Show. The show currently attracts over 80,000 visitors over four days, and with the finish of the sportive right next to the main show gardens – it’s sure to add a great atmosphere to the end of the event. Along with the Spring Gardening Show, there will be a full trade village at the event – giving riders and visitors alike the opportunity to check out the latest toys and gadgets in the cycling world. Out on the road, the sportive will offer three comprehensively signed route options, well stocked feed stations, NEG and MediBike motorcycle outrider support, neutral service support and much more. There will also be hot food waiting for all riders when they finish and a goodie bag to take home. “We’re really excited to be involved with this new event, combining a sportive with such an established event as the Spring Gardening Show can only do more to raise the profile of cycling further and encourage more people out onto their bikes.” Andy Kirk, event director.